Arsene Wenger's reign of more than twenty years at Arsenal came to an end at the end of the 2017/18 season and there was the need for a replacement. Unai Emery emerged the lucky one out of all the contenders for the job - he took charge and has since helped the Gunners qualify for the Europa League quarter-finals where they will face Napoli. They are also fourth on the league table at the moment as they look to gain entry into next season's edition of the Champions league having missed out in two consecutive seasons. At the time the club was to make the decision on who should succeed Wenger, Carlo Ancelotti and Mikel Arteta were also in the picture. 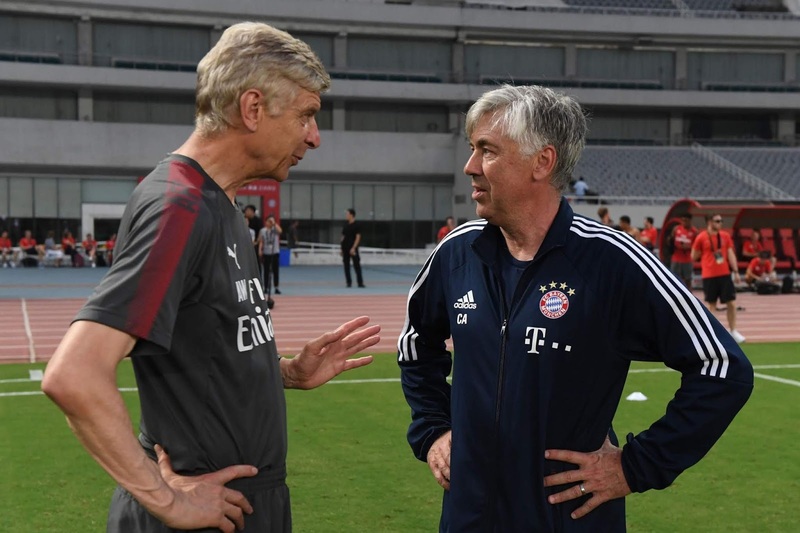 None of the aforementioned was considered but a recent revelation by Rai journalist Ciro Venerato indicates that Ancelotti was the former Arsenal boss' preferred candidate. “Arsenal-Napoli? I’ll tell you a behind-the scenes story dating back to last summer when Arsene Wenger indicated Carlo Ancelotti as his possible heir and successor on the Arsenal bench,” Venerato explained. Ancelottii got employed by Napoli following a snub from Arsenal chiefs. He will have the chance to make a statement by the time both sides lock horns in the quarter-finals of the Europa League.